Psyonix, independent developer and publisher of the multi-award winning Rocket League, today announced that come April 26th the high-octane action of Rocket League will be taken to a new court with the debut of the highly anticipated Hoops mode. The basketball inspired game mode will be available to download on April 26th entirely free as part of a regularly scheduled game update. Accompanying the new game mode is a premium update including a selection of officially licensed flags as the NBA Flag Pack introduces logos of 30 popular NBA teams to be used as new flags. 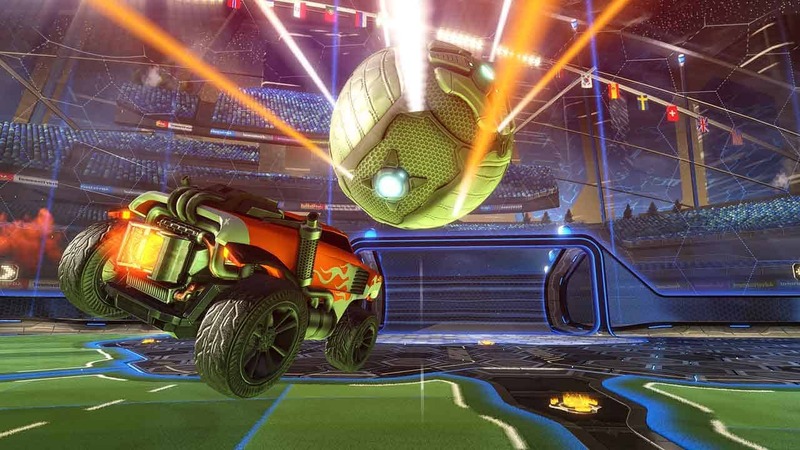 The new Hoops mode promises to add an entirely new dynamic to the world of Rocket League as the soccer inspired mechanics make way for an entirely new approach to scoring with basketball style nets replacing each of the goals. The Hoops mode update will launch across all platforms including Xbox One, PlayStation 4 and PC.